Between the current political environment in the U.S. and Prime Minister Justin Trudeau's boyish good looks, many Vermonters might already be thinking O Canada! But this summer, our friendly northern neighbor is really pulling out the stops to court visitors. For starters, there are two big birthday parties: the country's 150th and the province of Québec's 375th. Both entail numerous activities to mark the milestones. Celebration of the confederation anniversary includes events ranging from K-Pop flash mobs to a Prince Charles appearance on Canada Day (July 1). Officially, the festivities take place June 21 through July 2 (see canada.pch.gc.ca). But perhaps more relevant to Vermonters are the ways in which visitors are invited to explore the country throughout the year. Parks Canada is offering a free discovery pass to anyone — Canadian, American or otherwise — that can be ordered online and grants entry to any national park. A map to help you find the nearest ones is included with the pass, which comes in the form of a rear-view-mirror hanger adorned with a cute beaver. The discovery pass will get you into 148 places, including historic sites and marine conservation areas. In Québec, La Mauricie National Park in the Laurentian Mountains features a number of hiking trails, lakes and waterfalls. Driving a little farther will take you to Thousand Islands National Park, a great destination for quiet summer camping. Of course, in the province where Je me souviens adorns license plates, there's always a sense of competition with, and even animosity toward, anything the federal government chooses to impose — even if it's just a cute beaver. Besides, Québec can claim a much earlier foundation than that whippersnapper confederation. So Québec is having its own fête (375mtl.com). 2017 marks 375 years since Jeanne Mance arrived, along with Soeur Dominique de la Maisonneuve, to found the community of Ville-Marie on the island later renamed Montréal. Chats de Rouelle, or Alley Cats, is a series of parties in different neighborhoods in each of the city's 19 boroughs. Circus performers, outdoor movies and food trucks will make their way to various hoods to set up shop for a day. The Streets of Montréal events guide visitors through historic sites and outdoor exhibitions featuring work by Montréal artists in two neighborhoods: Rosemont—La Petite-Patrie and Le Plateau Mont-Royal. Motorists, take note: Many streets in those neighborhoods will be closed to traffic for events associated with the anniversary. Locals know that not all has been smooth sailing with the 375th celebrations. A highly visible component has been the illumination of the Jacques Cartier Bridge. The project features an interactive lighting system programmed to change with fluctuations in weather, traffic patterns and social media mentions of the city. It came with a price tag of $39.5 million CAD and is a bit of a sore spot for Montréalers who have been living with an abundance of potholes and other infrastructure issues. Nonetheless, the shows go on. This year Montréal is also marking 50 years since Expo 67. With a theme of "Man and His World," the Expo featured displays of technological imagination in nearly 100 pavilions representing nations around the globe. The geodesic dome designed by R. Buckminster Fuller is the most iconic image associated with the event. Accordingly, this summer's exhibit "Écho 67" will examine the environmental and cultural legacy of Expo 67 at the biosphere dome in Parc Jean-Drapeau. In another commemoration of the Expo, the McCord Museum will display a collection of clothing, costumes and accessories from the late '60s. The Stewart Museum will present guided tours and multimedia installations to immerse visitors in technology of the past 50 years. Expo 67 was a formative event for the city, and its effect can still be felt in culture and cuisine. However, if you're looking for fine dining while in Montréal, you'd do well by the locals to skip the new L'Atelier Joël Robuchon restaurant situated in the French and Québec pavilion from Expo 67. Montréal has its own culinary identity, and many local chefs are fuming over the multi-million-dollar taxpayer-subsidized payout — reportedly $11 million CAD — that Robuchon received to bring his Michelin-starred fare to the city. David McMillan, co-owner of Joe Beef, has been one of the more vocal opponents of the project, calling the restaurant "McDonald's de luxe." The app DINR provides a way to get same-day reservations at some of Montréal's finest restaurants, including Joe Beef, Toqué! and Nora Gray. Québec's anniversary celebrations come with the recognition that Montréal was not an uninhabited wasteland 375 years ago; the Hochelaga First Nations tribe had already settled on this part of the St. Lawrence River. The 2015 Truth and Reconciliation Commission report on residential schools is just one of many recent efforts of the province and nation to come to terms with their history, and to find a way to move forward after 375 years and many missteps. Accordingly, some of the celebrations incorporate and honor Montréal's indigenous peoples, including a pow wow on June 18 at Parc Ahuntsic. First Nations groups will also present art installations, film screenings and theatrical events around the city over the summer. With an ever-apparent joie de vivre, Montréalers seldom need an extra reason to throw a party. However, as residents mark the city's 375 years — and the country's 150 — there is a lot more to celebrate. Boasting some 60,000 attendees over 20 days, the Fringe is an opportunity for artists, musicians and dancers from Canada and beyond to perform in an uncensored environment. If you always found yourself at the freaks and geeks table in high school, you'll feel right at home at the fest, now in its 27th year in Montréal. It's what the Island of Misfit Toys could have been if they'd learned to relax and just enjoy themselves. Are You There, Margaret? It's Me, Gahd. 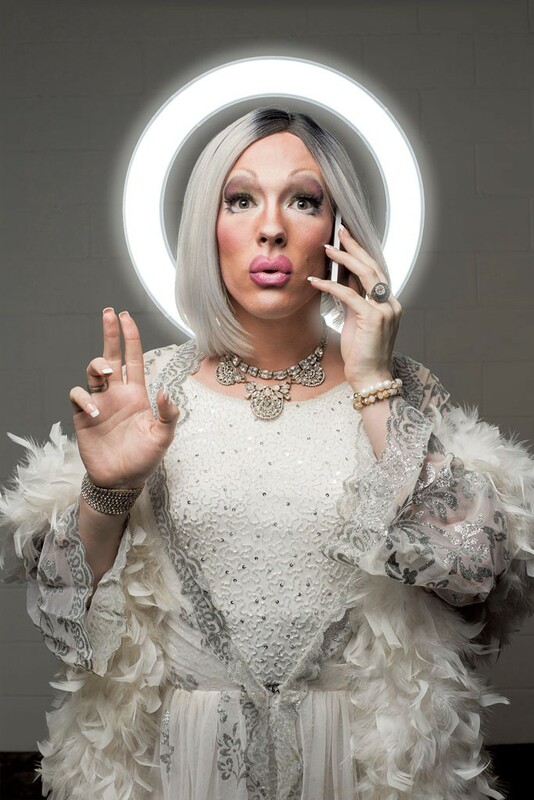 Uma Gahd, one of Montréal's top three drag queens, presents a high-energy one-woman show full of glitz and glam. Illustrated Lady. Sophie Post Croteau asks of the audience, "What do you see when you look at me?" as she sheds a layer of clothing to reveal the tattoos she's been collecting since she was 8 years old. Each night she'll have an audience member's tattoo inked on her body. The Monkey King Gets His Staff. JingJu Canada presents this Chinese opera about an amazing fighter, the Monkey King, in search of a weapon. SCRUM. Six artists perform an intense, engrossing dance that ends with a stage spattered in fake blood. The multidisciplinary performance is an examination of trauma and disconnect in daily life. Cherry Docs. Written by Canadian playwright David Gow, this is one of the fest's darker productions. In the emotionally fraught and timely play, a neo-Nazi skinhead is charged with a racially motivated murder; his public defender is Jewish. As its name suggests, the Mural Festival features street artists from around the world creating gigantic murals around the city. This year's special guest is the subversive and legendary American artist Ron English. Art exhibitions, conferences, temporary exhibitions and musical performances occupy a stretch of Saint Laurent Boulevard. Guided tours are available, but there's plenty to do for free. Five years of the festival have left a great variety of art on city walls. Many may ascribe nefarious activities to the electronic music scene, but Piknic Electronik is part of a growing international movement with a very different feel. This series, held at Plaine des Jeux in Parc Jean-Drapeau, prohibits drugs and alcohol and promotes bringing picnic baskets and the family. Jesse Rose, Motor City Drum Ensemble, Nicole Moudaber and Josh Wink are among the hundreds of names set to appear this season. This festival reliably boasts an impressive lineup of ticketed big-name acts, but the best reason for attending might be the 350 free shows outdoors and in venues surrounding Place des Spectacles. A wide variety of styles beyond traditional jazz are represented, including reggae, soul, hip-hop and blues. Even Bob Dylan is playing! If a roster of international artists leaves you feeling homesick, go listen to Burlington's own Kat Wright on June 30 as she performs on the Rio Tinto stage. 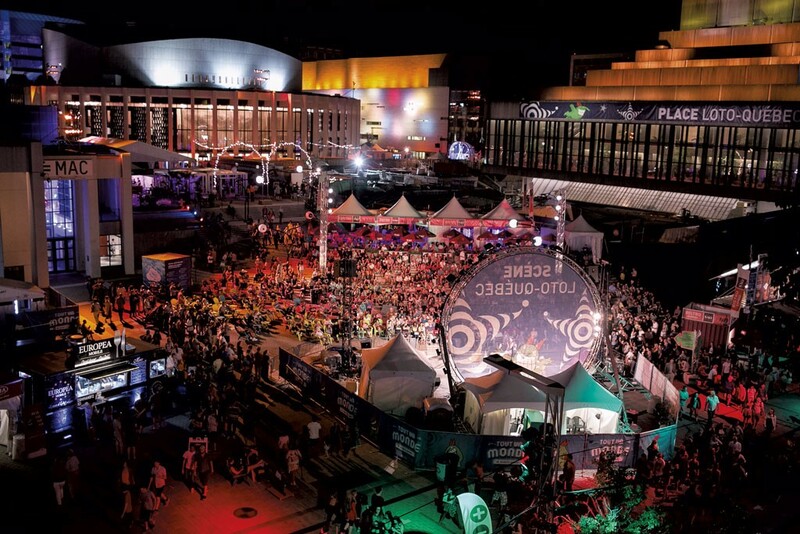 Featuring several free stages around Place des Arts and multiple ticketed shows, FrancoFolies is a celebration of French music from around the world. Artists representing hip-hop, rock, chanson, pop, electronica and punk from Québec, France, Algeria, and many other francophone regions perform music and celebrate French culture. While it helps to know some français to attend this event, the music is beyond language. Just for Laughs remains the world's premier comedy festival, with English programming featured in the last week of July. 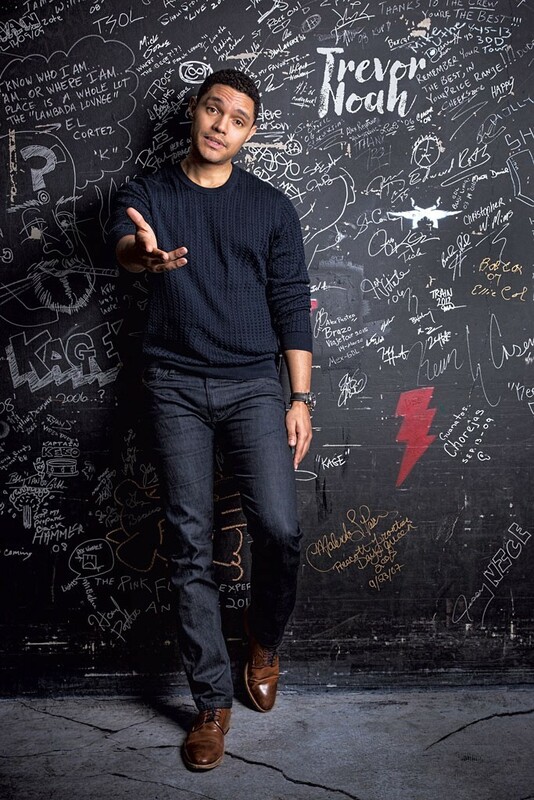 That includes appearances by American standup comedian and actress Ali Wong and "The Daily Show" host Trevor Noah. The latter will discuss his experience growing up in apartheid-era South Africa and his perspective on world politics. Film producer, writer and actor Judd Apatow will tape a Netflix special at Place des Arts during the festival. And heads up, Burlington fans of funny: Vermont Comedy Club will be closed that week as owners Nathan Hartswick and Natalie Miller attend the fest. Talk about a busman's holiday. The original print version of this article was headlined "Bonne Fête! Spectacles Abound in Montréal This Summer"